Super Deluxe review: Super Deluxe is an intellectually stimulating experience. Watching it once won't be enough. 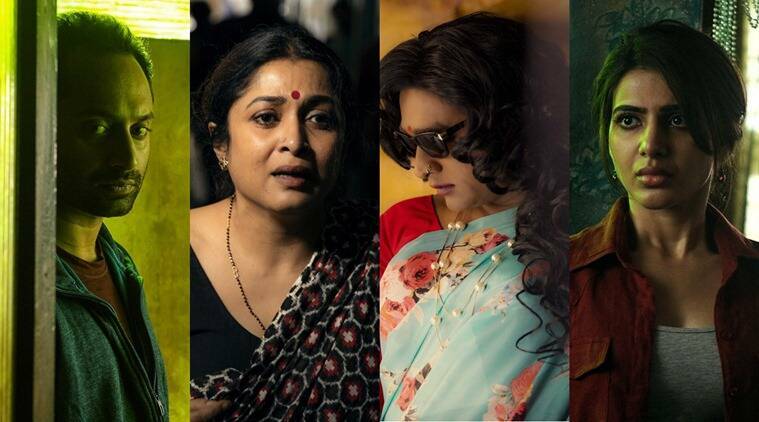 Super Deluxe movie review: It’s hard to categorise Super Deluxe. Each story has its own share of surprises and merits, complementing the film on the whole. Super Deluxe, high on detailing, packs a punch and has umpteen twists that you can remember. After all, each story has the same DNA linked thematically—there is nothing ultimately right or wrong. Originally, the film was supposed to be titled, Aneedhi Kadhaigal (Amoral tales), and I am sure it would have been better if the makers had retained the same. But hey, that’s all right. Super Deluxe sounds equally swag and fancy. There are no songs in Super Deluxe, but Yuvan Shankar Raja reignites the magic by using his father Ilaiyaraaja’s iconic songs in bits and pieces. As I walked out of the film, I started muttering—life isn’t a chance of random meetings and coincidences, but we are all connected. Also, life is way too real, and if you delve deeper into it, there’s just no purpose or meaning. ‘Real’ is good and you live it. I knew that was all I needed. Honestly, I don’t mind waiting for another eight years if I am going to get another Super Deluxe or even a better masterpiece from Kumararaja.